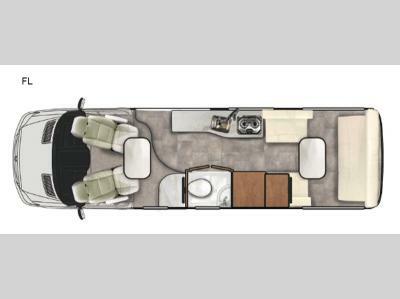 For a quiet weekend away or a trip across the country at your leisure, you will want this Plateau Class B diesel motorhome. 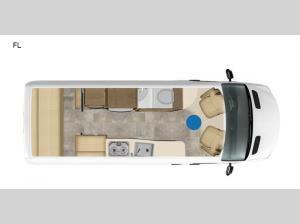 Both of the captains seats swivel, slide, and recline to provide you the comfort you desire, and if you have a little work to do, then easily set up the flip-up Corian countertop workstation. In the back of this unit there is a power sofa which can convert into a bed when you are ready to sleep, and you will enjoy the convenience of your own wet bath which features a residential ceramic toilet, a sink, and a medicine cabinet with mirror. 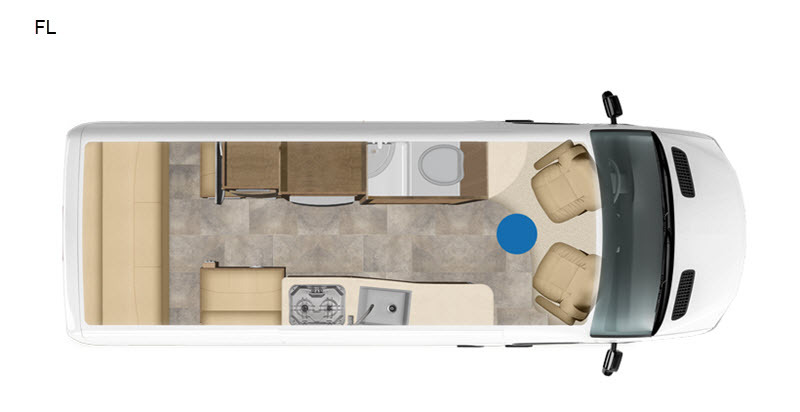 When you choose to camp and travel with the Plateau Class B diesel motorhome, you will find comfort inside and out from the exterior shower with handheld wand to the luxurious Ultraleather upholstery and touchscreen control panels. The Corian countertop is a great spot to prepare your meals, plus you will find hardwood maple cabinets throughout. 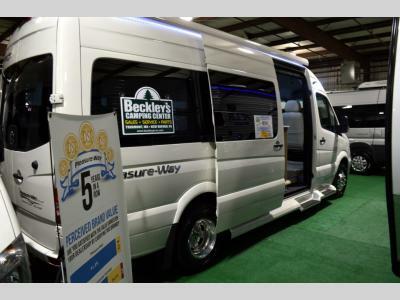 Enjoy watching TV with the 24" LED Smart TV, and take advantage of the unique inflatable air bed that has been specially fitted to use the cab seats as its base.